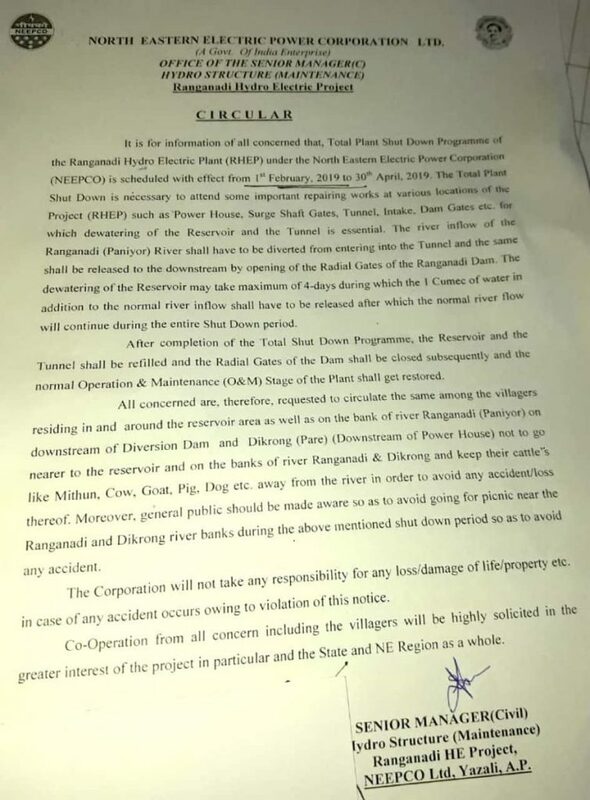 A circular issued by the NEEPCO regarding its proposed shutdown of the Ranganadi (Panyor) Hydro Electric Plant (RHEP) at Yazali under Lower Subansiri district and release of the dam’s excess water, has created panic among the people living in the downstream areas. 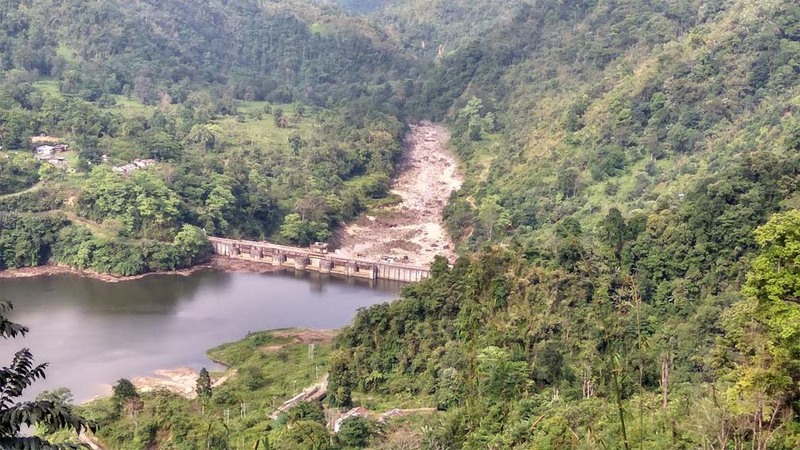 The circular also read that during the shutdown, the river inflow of the Ranganadi shall have to be diverted from entering into the tunnel and the same shall be released downstream by opening of the radial gates of the Ranganadi dam. The NEEPCO authority has asked the villagers residing in and around the reservoir area as well as on the bank of Panyor in the downstream of the diversion dam and Pare, downstream of the powerhouse not to go near the reservoir or on the banks of the river. The shutdown will remain effective from February 1 to April 30, 2019. Surprisingly, the NEEPCO authority further says it will “not take any responsibility for any loss/damage to life and property etc in case of any accident owing to violation of the notice”. It may be mentioned that due to release of excess water from the plant’s reservoir during peak monsoon season allegedly creates floods in Papum Pare district and in the neighbouring Lakhimpur district of Assam. A report published on Thursday by The Arunachal Times stated that the sub-divisional officer (ADO) of Kimin, Likha Tejji, has written to the RHEP not to release water during picnic season as it would inundate the amusement park and electric poles, overhead conductor on the bank of Panyor river. According to the report, Tejji stated that water should not be released between January 15 and March 31 as it is the picnic season. The letter written on January 3 mentioned that release of water would lead to hue and cry among the public. 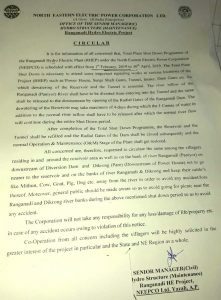 As per the report, two organizations – All Kimin Youth Welfare Association (AKYWA) and Lichi-Cher Ranganadi Project Affected Area Management Committee (LCRPAAMC) – said they would not allow the shutdown as it means release of water which would affect the people living in the downstream areas. The report quoted Gida Kakum, president of AKYWA as saying that his organization would also not allow the shutdown to take place unless the RHEP guarantees safety and security of the people and domestic animals downstream. “The REHP cannot get away with irresponsible behaviour,” the report quoted Kakum as saying who alleged that animals and human lives are lost every year because of unannounced release of the dam water.